Your work is GLORIOUS!!!! LOVE the colors. Catalina, thanks so much for your comment, like and fav. 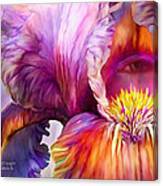 Gorgeous painting of a beautiful iris, Carol!! 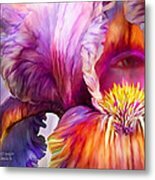 F/L I would like to invite you to submit this image to my group "Amazing Irises". It would make a great addition to our group. Thanks for the invite, Bruce, I'd love to submit this image to your wonderful group. Thanks so much for your lovely comment, fav, like and pin, Debbie. Thanks so much for your comment, fav and vote, Joy. Thank you very much, Dustin. Thank you very much, David and Carol. Thanks so much, Lovejoy Creations. Thanks for the 'wow', Shane. Appreciate your wonderful comment, fav and vote, ABeautifulSky. 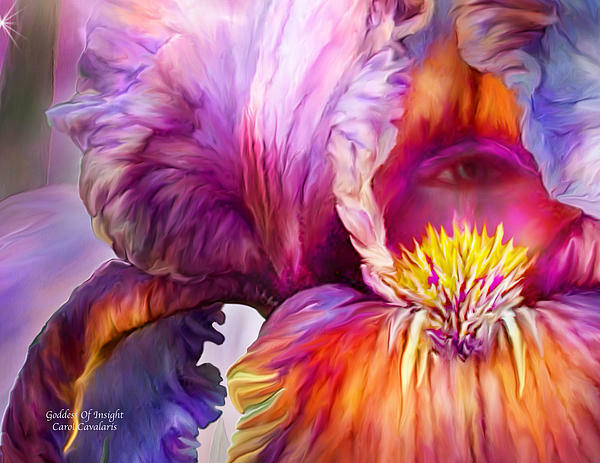 All-seeing eye of a goddess within the petals or a Chakra colored iris, Goddess Of Insight is from the Healing Goddess Collection of art by Carol Cavalaris. 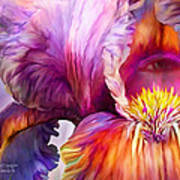 The series includes: Healing Goddess, Celestial Goddess, Goddess Of Thought, Goddess Of Growth, and Goddess Of Insight.